James Came 4 Marlena Stell ABOUT A NETFLIX SERIES! 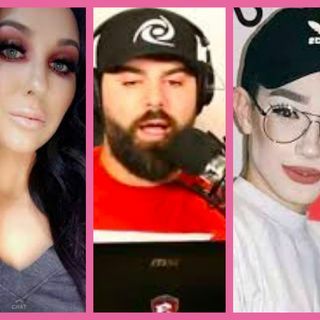 ?+ keemstarr claims logan is sociopathic and Jaclyn Hill might quit YouTube | The Rey Show! Transcript: Hey guys its Rey here and welcome to my channel! Discuss itinerary: James Charles beef on twitter with Marlena. Jaclyn hill might quit youtube over criticism. So the first thing on our list is James Charles and Marlenas twitter beef. “Hi @netflix lets make a documentary on the behind the scenes of the beauty industry and why the community is plummeting. I already have a full outline of it done that highlights faults on all sides in a non- bias way, and a platform of millions that want to know more. Email me. I went from being a consumer who couldn't afford 3 foundation shades for my kit to being a small influencer, to being a large influencer, to being at the top and working/consulting directly with brand CEOs on campaigns and marketing. I've seen all sides. Don't try it, Renee. And Shane popped into the picture and tweeted James saying, I hate to sound like a bitter old dad but… get used to it. The amount of things I’ve had ripped off is insane. You just gotta do your own thing and keep raising the bar for yourself. Do you hear Netflix knocking at my door? Nah. The way James is dealing with this is incredibly rude. For starters I mean if someone is doing better than you you shouldn’t attack them you should help yourself be better. Marlena worked hard so leave her be congratulate her don’t put her down. Next up, Jaclyn hill might leave youtube. Series of snapchat rants, putting up a video and taking it down. as well as receiving lots of criticism. She feels as if she can’t do much without being scrutinized or criticized. The rap this podcast all up is Keemstarr, Keemstarr posted a video to his channel Claiming that Logan Paul is a sociopath after watching Shane Dawsons documentary about the mind of Jake Paul. Anyways thank you guys so much for tuning in make sure to like comment and subscribe to become part of my fam. See y’all later bye!